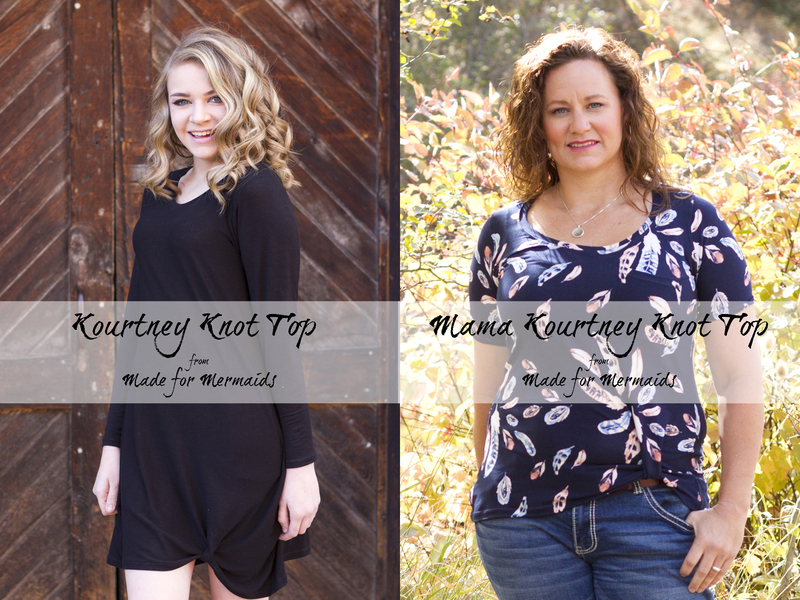 Made for Mermaids is releasing the brand new Kourtney Knot Top and Mama Kourtney Knot Top today, and it is another home-run! I participated in the testing process for both patterns, and Reagan and I both love the new additions to our wardrobe! The Kourtney and Mama Kourtney Knot Tops are fitted through the chest and semi-fitted through the waist and hips. 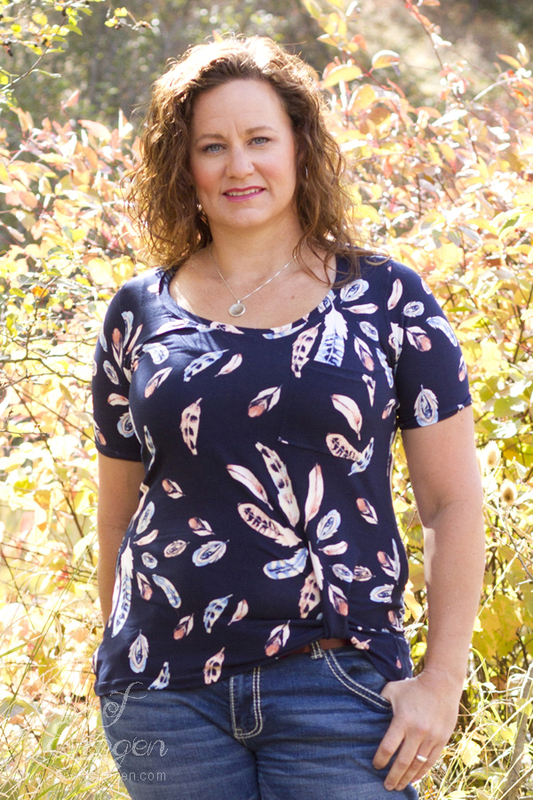 The Kourtney tops are easy to sew. The pdf patterns include layers, printing guide, and no-trim pages that overlap making it quick to put together. They are available to print in US letter, A4 paper, and A0 copy shop sizes. 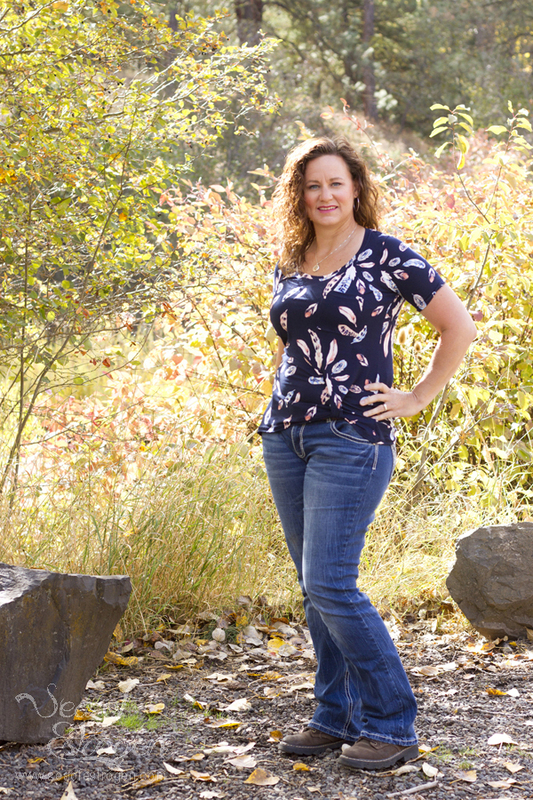 The Kourtney patterns are available in top, tunic, and dress lengths, and it has a tank and three sleeve options. In addition, the pattern has an optional chest pocket. The best feature of the Kourtney is the optional knot at the hem! As a bonus, the Kourtney pattern tutorial includes a video link with detailed instructions for constructing the knot. I love that Megan’s PDF Patterns come as a layered, color-coded file. Coupled with the “no trim” printed pages, the pattern is quick to put together! The instructions include color pictures, and the detailed steps are easy to follow. 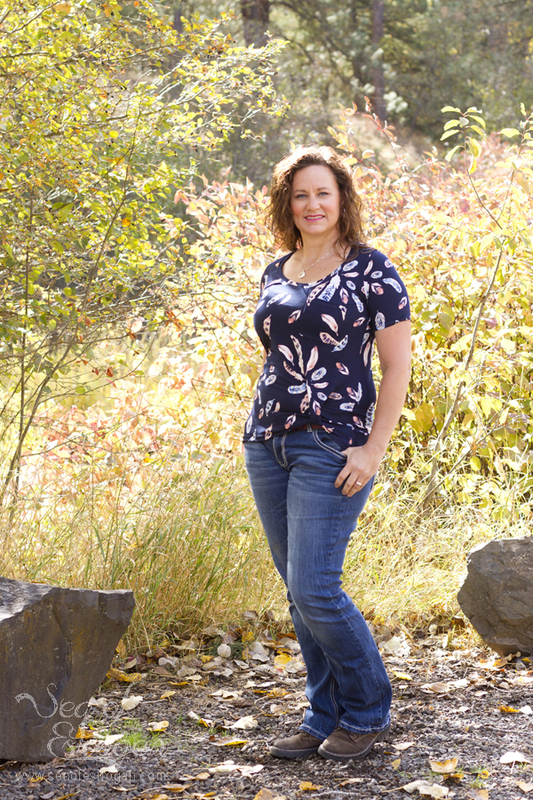 The M4M Kourtney Knot Top and the M4M Mama Kourtney Top are on sale for $7.00 each through October 15th at Midnight CST. Both patterns can be purchased as The Kourtney Bundle for only $10.00 until then, as well, and then the bundle will no longer be available. Join the Facebook Group to see more pictures and share with other Made for Mermaids fans. I love the diversity of this pattern from the casual tee I wear to work to dress Reagan wore to her school choir concert. The knot adds a little detail that helps set the pattern apart from others of the same style. Don’t forget to check out the Kourtney Hacks Blog Post for more inspiration.